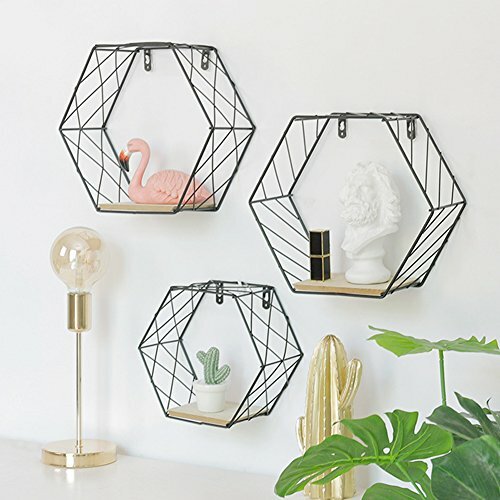 Decorate your wall with these three metal wire floating shelves. 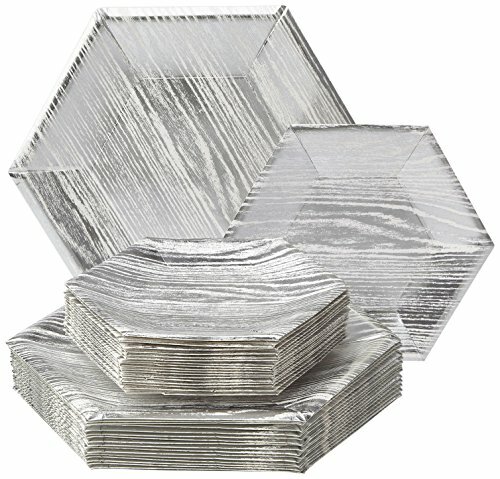 This set of three features a durable metal construct with checkered mesh walls and four mounting holes. 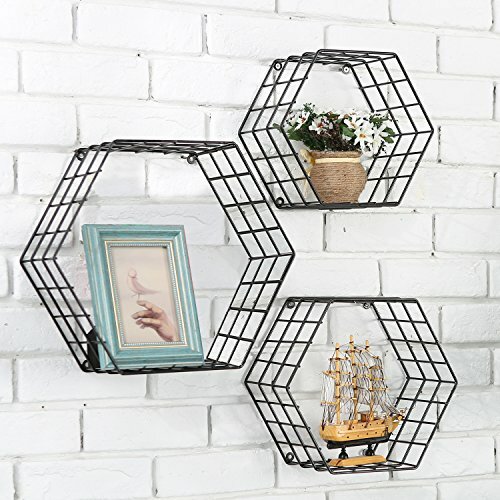 Their unique honeycomb design adds a modern touch to these matte black shelves. 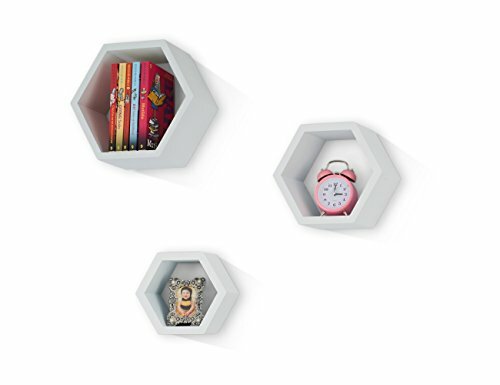 Since these mountable hexagonal shelves vary in size, they are perfect for creating unique wall art as well as organizing and displaying almost anything. Shelves can be easily mounted onto any wall with proper mounting material to give the effect of being suspended in the air. **USPTO Patent Pending**Approximate Dimensions (in inches): 14.5 H X 17 W X 4 D.
Congratulations on your good taste in home decor and impeccable eye for design You know how to tastefully decorate your living space and we appreciate that you chose Mesola Design Floating Shelves. We know that you will have fun utilizing the many options our large hanging wall shelves have to offer. Whether you use it to accent your living room wall or to display your children's prized possessions in their bedroom Mesola Design has the shelving solution for you.Maximum Load when installed properly is 11 lbs.What's Included: 3 round Shelves - Large, Medium and Small.3 flat inside shelves6 Screws and wall anchors.Easy to follow installation manualShelf SizingLarge - 12" x 12" inches, Bottom Shelf - 5.25" inches wide, 5" inches deepMedium - 10" x 10" inches, Bottom Shelf = 4" inches wide, 5" inches deepSmall - 8" x 8" inches, Bottom Shelf = 3" inches wide, 5" inches Deep. 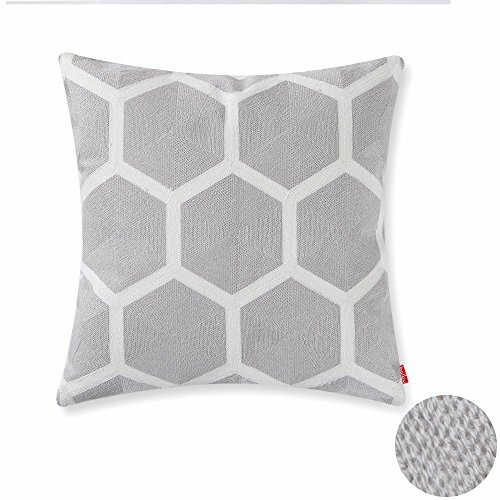 baibu cushion cover 1.baibu throw pillow cushion cover add your home a pop of color. A strong color and playful pattern enlivens a pillow mix. This cushion cover is finely embroidered to highlight the crispness and texture of this striking design.2.These pillow case are made of high quality cotton, feature a delicate embroidery design with its unique patterns. 3. 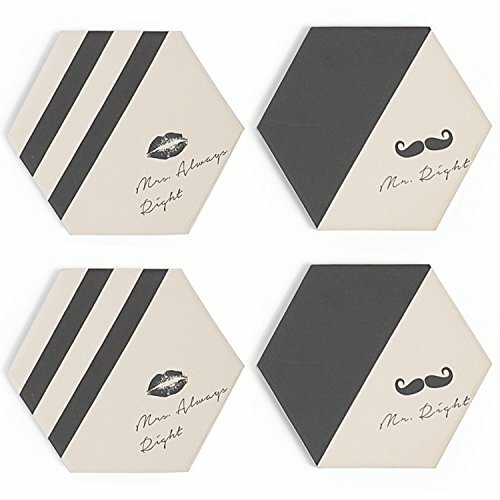 Just place them on your chairs or sofas for added comfort and style. Designed in vivid colors, these cushion covers goes well with variety colors and would compliments your other furniture. 4. All cushions are handmade, so please understand there may be 1-2cm deviation exist. 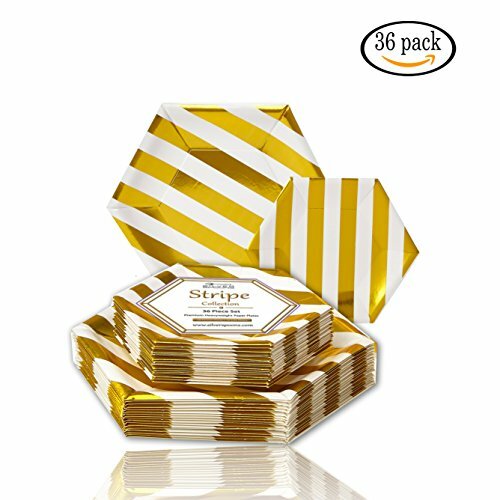 5.Due to the monitor setting and lighting, the color may slight difference from the screen, thanks for your understanding. 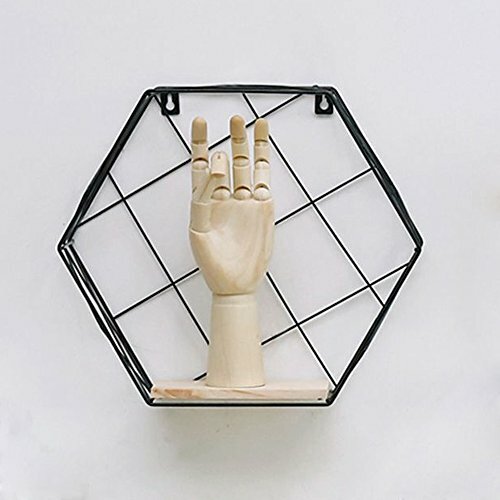 Size: as shown Product material: iron Color: black, white Uses: Decorate the walls, place the ornaments in the racks, decorate the walls with flowers, books and crafts, and make your room more clean and stylish. Installation method: nail suspension or rope can be used for traction suspension Applicable style: European, rural, American, rural, modern.